In a meeting celebrated in Capannori on October 13 representatives from 16 Italian regions agreed to formally constitute the Association of Italian Zero Waste Towns. Currently 107 towns in Italy alone have committed to move towards Zero Waste and phase out landfilling and incineration. The latest significant city to join the network is the city of Parma which has seen a spectacular turn-around thanks to the popular mobilisation. After an intense debate the statutes of the organisation were unanimously approved and in the next meeting the governing bodies will be elected. During the event Pr. 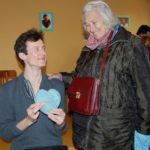 Paul Connett went through the story of the Zero Waste International Movement and identified California and Italy as the most important focus of development of this philosophy. 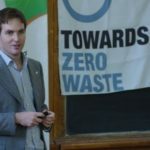 Besides Parma other new Italian towns to the sign on to Zero Waste pledge were Altavilla Milicia -PA in Sicily, Civita Castellana-VT from Lazio, Parma in Emilia Romagna region and Crescentino,Crova, Fontanetto Po, San Germano, Santhià, Tronzano Vercellese-VR in Piemonte.